The alphabetical prefixes will be followed by a four-digit number. 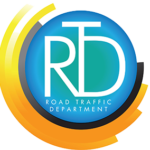 The department has kept the option for reserved license plate numbers in New Providence and Grand Bahama. The alphabetical prefix AA, followed by four numbers will indicate that an individual has reserved a plate, for example: AA0242. Persons currently using reserved numbers will continue to have access to their assigned numbers, at no additional cost. Those reserving plates for the first time will be required to pay a one-time fee of $50. Persons interested in reserving their plates should contact the Executive Assistant to the Controller, at 604-5432 or 604-5439, for additional details. Among the strengths of the licensing process are the built-in security features, which include the issuance of a Title Certificate to the owner of the vehicle as a registered client of the Road Traffic Department. The new process removes the old documents from the windshield, which formerly included a license disc that contained personal information, the inspection sticker, and a separate expiration date sticker, and replaces it with one disc which only displays the License Plate Number of the vehicle and the expiration date. This change is an important feature in securing the personal information of Road Traffic Department clients. The Road Traffic Department did not develop this new concept in isolation. The department engaged in consistent and meaningful consultation with various stakeholders, including the Police, the Auto Dealers Association, the Insurance Companies, the Clearing Banks, the Customs Department and various other Government departments and agencies. These entities assisted in the selection of the automation system. Further, the Police, Auto Dealers Association and Insurance companies participated in the vendor selection process, and provided valuable input on the alpha-numeric system and on the design of the new license plates. Finally, while the department has engaged an international company to produce the initial complement of license plates, the ultimate plan is to keep this process of production at home, and to provide opportunities for Bahamians. Inmates in the Bahamas Prison System will therefore be utilized to produce the plates, creating the opportunity for these persons to acquire new skills that will assist with their rehabilitation.